BCS Written Exam Result and Seat Plan will be publish soon. 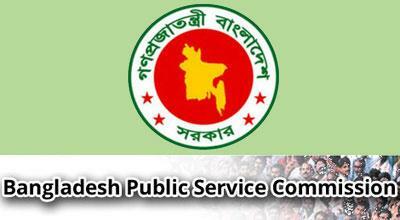 Recently the authority or Bangladesh Public Service Commission (BPSC) has been publish 39th BCS preliminary exam result. In this year approximately 185,000 candidate was participate in MCQ preliminary test. All of them, total 13,830 candidates are selected for the written exam. This year huge amount of candidates apply 40th BCS examination. Because previous year BCS exam was especially for Medical students. So, this year applicants number increase shockingly. As a result preliminary exam date was fixed. About previous year BCS Examination: 36th BCS preliminary exam result was published 10th February 2016. According to previews record after published preliminary result then the authority announced written exam result date. Candidates who are selected for written exam result they must be submitted BPSC Form 2. BPSC Form 2 fill up will start from 22th February and end on 8th March 2016. Candidate must be send their fill up BPSC Form 2 with other document that are included 36th BCS circular in 14 number subheads. If you want fill your Form then try below link from 22th February 2016. See Unqualified Candidates List for 36th BCS Written exam. This year 36th BCS Written Exam and Viva-vice mark distribution are given below. Viva-vice =Minimum 50% of total marks. The candidates download or see his/her result in official website of Bangladesh public service commission (BPSC). Candidates can get result by SMS in their mobile phone. If you want to know your result by SMS the simply type. PSC<space>36<space>Roll or Registration No send it 16222. Example: PSC 36 0045367 send 16222. You have three options to choose your cadre. Age Limit: Not more than 30 but freedom fighter quotas 32 years. Educational Qualification: At least Graduate in any subject. 35th BCS viva exam and seat plan has been published. Candidates who are selected for viva exam they are see and download seat plan. You can see or download or see your exam date and seat plan at Bangladesh Public Service Commission official website. We also upload the seat plan and details about 35th BCS exam and seat plan. See your Exam date and seat plan according to your roll number. Application site will be shown three cadre. Firstly you choose the cadre. Then you filled the form by input all truth and right information. After fill up the application form you will see a preview. If all the information saw right then upload your photo and signature. The signature must be (300*80)pixel and maximum file size 60 KB. The photo must be (300*300)pixel and maximum file size is 100 KB. Then see your application properly and submit. After the submission you have to pay application free. After payment you can download your admit card. 36th BCS Written Exam Result and Seat Plan will not published yet. When the authority of Bangladesh Public Service Commission (BPSC) will published written exam date and seat plan then we are published that here as soon as possible. If you want to know 36th BCS Written Exam Result and Seat Plan then visit our site eduexamresult.com. You will found here all kinds of information about this topic. Like written exam result, written exam date, written exam syllabus or mark distribution, viva-vice date and seat plan, viva-vice result etc. If you need to more information then go to www.bpsc.gov.bd. You can also try to contract Bangladesh public service commissions by email or other way. We are update here all kinds of information that are needed for candidate. You can follow us our Facebook page or email. 40thCS exam application circular has been publish. According to previews record when the publish preliminary exam result then published a new BCS circular. You will found all kinds of information like application fee, application deadline, application process, age limit, required educational qualification. Stay with us for want to know all other information about this circular. Income Tax Practitioner Exam Result.